The weather might have been cold, but the winter sports teams were hot during their seasons. Many teams and individuals qualified for and won playoff games, matches and meets. Records were broken and championships were won. No matter the outcome of each game, the student athletes made memories with their teammates that will last a lifetime. With a good core of last year’s team returning, the expectations for the boys basketball team going into the 2018-2019 season were high. 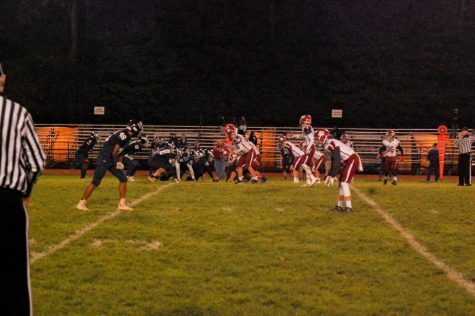 A difficult non-league schedule prepared the boys for their Schuylkill League games. 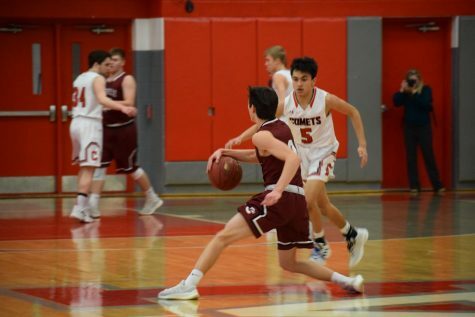 The teams’ regular season included an undefeated Schuylkill League Division I record as well as a 57-46 victory over reigning state champion Abington Heights. 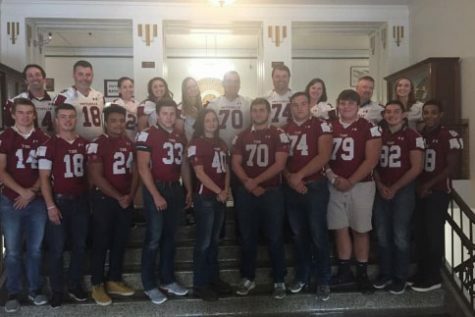 Having clinched the Division I title, the team played the Division III champion, Mahanoy Area, whom they crushed by a score of 56-13. In the championship, the Crimson Tide played Blue Mountain for the third time this season. The result was the same; Blue Mountain was defeated 51-35, giving the Crimson Tide their eighteenth Schuylkill League title in school history. Because they won the league championship, the boys were given the number one seed in the District XI class 5A tournament. In the semi-finals, the boys defeated Bangor by score of 53-43 and beat Southern Lehigh in the championship 51-33. Because of their semi-final win, the team automatically qualified for the PIAA state playoffs. In the first round of states, the boys defeated Lampeter Strasburg 56-51. 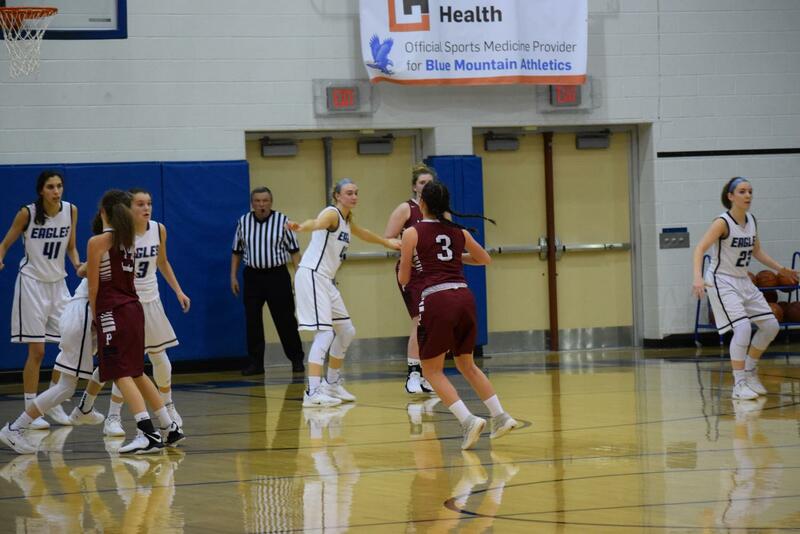 Moving to the second round, the team played Crestwood whom they defeated by a score of 59-46. The second round victory etched the team into program history because no team has ever made it past the second round of state playoffs. 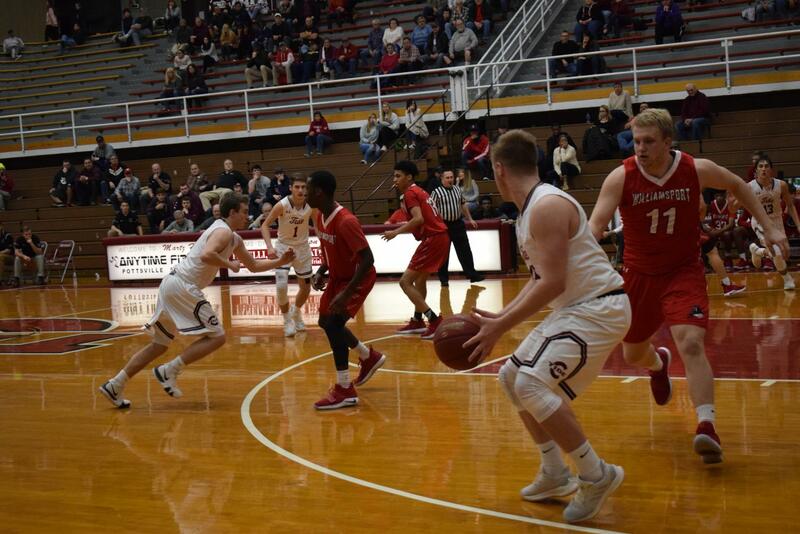 With this victory, the boys earned the right to face one of the most talented teams they faced all year in Archbishop Wood.In their third round game, the Crimson Tide fought hard but were unable to pull out a victory as they fell 55-43. The boys finished their season with a record of 25-4 with Schuylkill League and District XI gold in their possession. They truly set the bar high for future boys basketball teams. 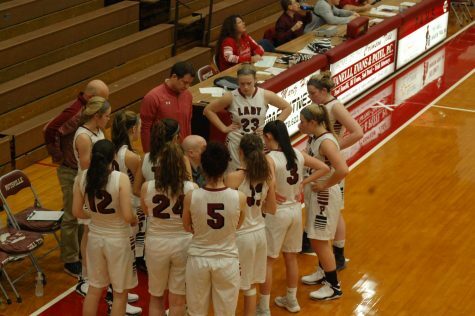 With just one starter returning, the girls’ basketball team was looking to reload and compete with more experienced teams this season. Their final record stands at 11-12, however eight of those games were decided by nine points or less. This shows how the girls can improve in the future, which seems bright. The Lady Tide started two freshmen throughout the majority of the season. 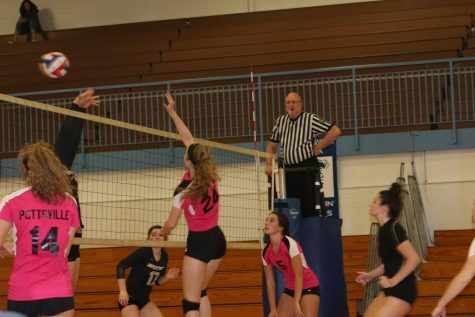 Because the team won at least seven league games, they automatically qualified for District XI class 5A playoffs. Unfortunately, the girls lost to Bangor 37-25. 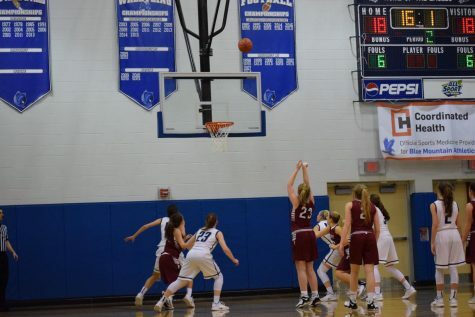 A tough non-league schedule helped prepare the girls for high stakes games in the Schuylkill League, where they finished tied for third place in Division I. 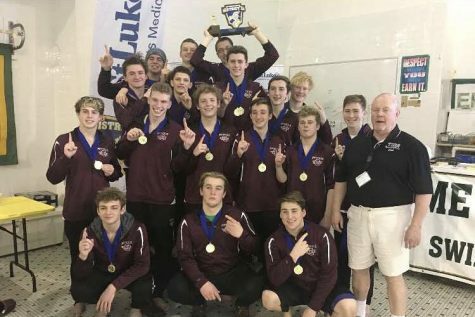 The boys and girls swimming and diving teams had a great year in the Schuylkill League, District XI and PIAA state playoffs. A strong showing by underclassmen provided a great year for girls diving. At the Schuylkill League championship held at Tamaqua, freshman Cyla Rose placed first and sophomore Emma Smith placed second. Rose and Smith, along with sophomore Greta Snukis and senior Hannah Kruppenbach advanced to the District XI championship held at Emmaus. At Districts, Snukis won silver which qualified her for the state championship. In addition, Kruppenbach placed fourth, Rose placed fifth and Smith placed sixth. At the state playoffs, Snukis went in seeded twenty-fourth. While she did not advance to the finals, she made it out of the first round and into the semi-finals, placing twentieth. In swimming events, the girls team made its mark on the League, District and State playoffs. At leagues, freshman Taleah Ruben (100 butterfly), senior Kylie Tohill (50 freestyle) and the 200 freestyle relay of freshmen Julia Balulis, Ruben, Elena Martinko and Tohill all garnered gold medals. 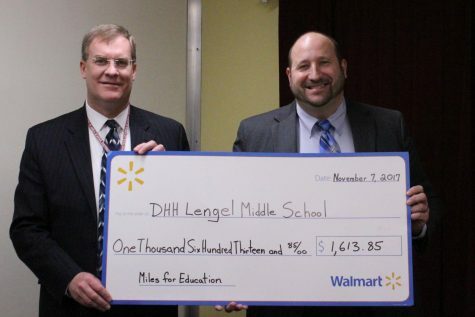 Each of these participants qualified for districts. Again, Tohill placed first in the 50 freestyle and was a part of the third place 200 and 400 freestyle relay teams. While the 200 freestyle relay participants were the same from leagues, the 400 freestyle relay consisted of Ruben, Martinko, junior Olivia Tokonitz and Tohill. Tohill also placed second in the 100 freestyle. Ruben placed third in the 100 breastroke and fourth in the 100 butterfly. Because she was a District champion, Tohill automatically qualified for states. She ended her season by finishing thirtieth in the 50 freestyle. 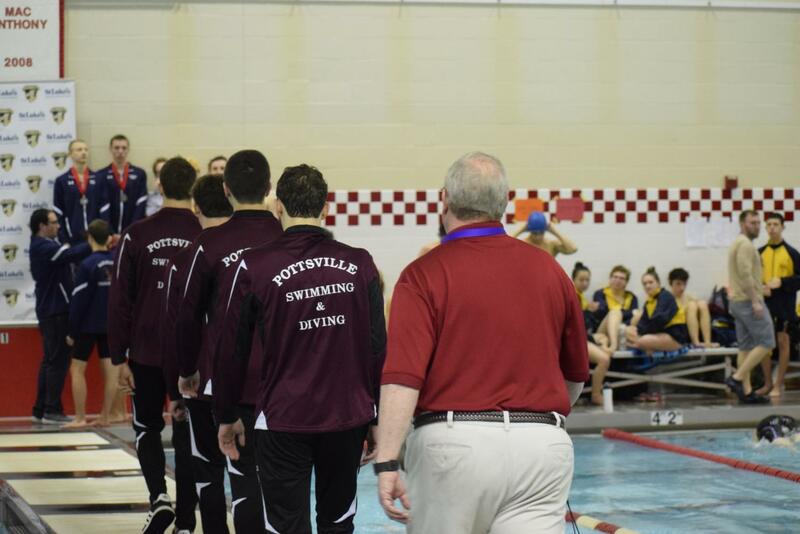 Starting with the Schuylkill League playoffs, the boys swim team made history in several ways. At leagues, both the 200 medley relay and 200 freestyle relay won gold. Seniors Zach Turnitza and Jordan Young, junior Caleb Reedy and sophomore Zaidian Van Orden swam the 200 medley relay. Turnitza, Young, senior Evan Lecher and Van Orden swam the 200 freestyle relay. 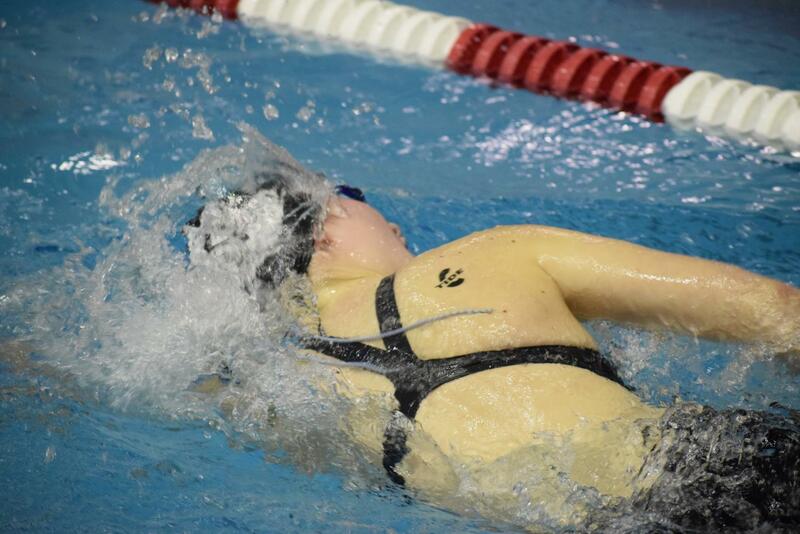 In this race, Turnitza broke the league and meet record in the 50 freestyle with a split time of 24.82 seconds. Turnitza was also first in the 50 freestyle and 50 backstroke. Another league and meet record was set by Turnitza, Young, Lecher and Van Orden, this one being in the 400 freestyle relay. The team broke the records and won first place with a time of 3:22.15. 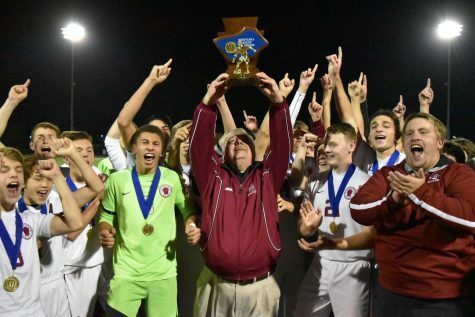 The District XI playoffs brought more medals and milestones for the boys. Once again, the 200 medley and 200 freestyle medleys took first place. In fact, the boys set a school record with their time in the 200 freestyle relay. Van Orden took bronze in the 200 and 500 freestyle while Lecher placed eighth in the 200 freestyle. In the 50 freestyle, Young placed fifth and Reedy placed ninth in the 100 butterfly. Zach Turnitza once again left his mark. He not only placed first in the 50 freestyle and 100 backstroke, he also became the first swimmer in program history to win four gold medals at the District championship. 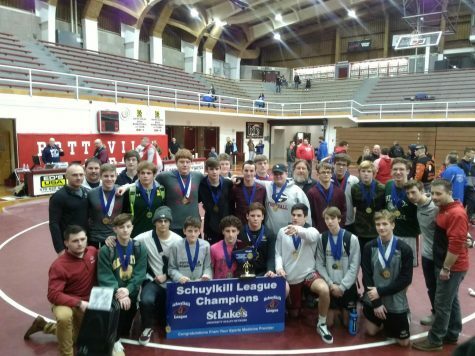 At the PIAA State championships, the boys were hungry for more hardware. Turnitza ended his senior campaign by placing tenth in the 50 freestyle and being a part of two top ten finishes in the 200 medley and 200 freestyle relays. The 200 medley team of Reedy, Turnitza, Van Orden and Young took eighth place while the 200 freestyle relay oven Lecher, Van Orden, Young and Turnitza placed fifth. The wrestling team won its third straight overall team title at the Schuylkill League wrestling tournament. Four wrestlers won gold at leagues. They were seniors Nick Onea, Braden Goodman, junior Shane Quick and sophomore Matt Ross. Senior Tym Nevadomsky and juniors Bryce Gonzalez and Wiley Khaler got second. Senior Mike Zawaski got fourth, sophomore Dylan Bohorad got fifth and junior Eric Kriner and sophomore RJ Quinn placed sixth. At the District XI tournament, Onea, Goodman, Nevadomsky, and Gonzalez placed in the top 5 in their weight classes, so they were able to move on to the Regional tournament. Onea was the only wrestler moving on from regionals to states where he went 1-1 before being eliminated. With his win, Onea became the program’s all-time win leader with 145 wins.